American Eagle coins were released on 1986 featuring the famous head of liberty that was designed by Augustus Saint-Gaudens. These coins are available both on proof or bullion types and in other designs. It is one of the easy ways to invest in gold since they are a very popular specimen of gold coin around the world. It is produced by the United States Mint and can be bought at a very reasonable price. These coins are manufactured with a special process that involves the blank coin to be at least pressed twice. They have small details which need to be pressed carefully on the coin to have that special floating effect that can only be achieved through this process. After the coins have been struck, they are inspected individually to make sure that there are no errors in the design. They are then packed in plastic presentation cases together with their certificate of authenticity. Their presentation cases are all specially made just for these coins. Being produced by the United States Mint, their gold quality and content are all assured by the United States Government. There had been recent additions to the American eagle coin series which makes it an interesting set to acquire. Those who would like to collect them can buy them at the United States Mint itself. There are also uncirculated coins which are produced at the other United States Mint in West Point. 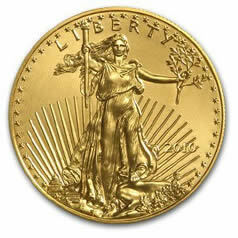 The American Gold Eagle is a good investment for those who would like start on investing in gold coins. There is a coin in this series which weighs approximately an ounce which is both a good investment and also as a collector’s item. Being a very popular coin, selling them will be an easy affair unlike other types of coins which may need to be assayed first since they come from unpopular mints. Aside from that, you also save on the process for the costs of the assay itself. They can also be bought without having the need to provide a lot of personal information about yourself which is a secure way of buying gold coins. 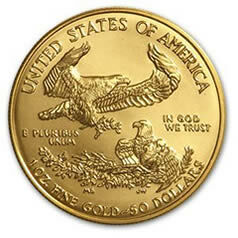 American eagle gold coins were first presented on 1986 both in numismatic and bullion types which immediately was a hit with various collectors. They were made from 22 karat gold or 91.67% fine gold. The mixture of the gold makes it more durable and more resistant to wear and tear. The design on the coin was the famous liberty head which was used for the double eagles during the early 1900’s. The eagles represent the values for which America is known for. When trying to purchase American eagle coins, go for sellers who will not request for your personal information. This way your gold purchase would not be reported or recorded and will be much safer for you also. The current price for American Eagle gold coins runs at about $1,850 and may rise or fall depending on the spot price of gold in the market. If you are looking for the best types of gold coins to buy it’s important to know there are several reasons why coins become a favorite thing to collect among serious investors. First, there is the beauty of the design; second, is the rarity of the coin; and third, is for its value. These various reasons provide the basis for how a person is going to choose the items that he would like to collect or have in his possession either for showing to his friends or for securing his wealth. Gold coin collecting has been done for several hundreds of years now by people who can afford to buy them and also who value them as assets. Some of the most famous collector’s items are the Canadian Maple Leafs, the American Eagles and Double Eagles, the Australian and British Sovereigns, the Chinese Panda, the Austrian Philharmonic and the African Krugerrands. The Canadian Maple Leaf can be said to be one of the finest types of gold coin that is available on the market today. This coin is made of 999.9 percent pure gold which makes it one of the purest gold coin produced by a country. 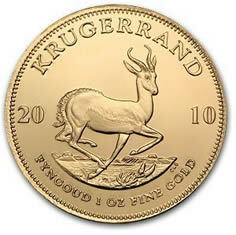 This was created on 1979 and is one of the first countries to ever produce a fine gold coin aside from the Krugerrand. The American Eagles and Double Eagles are also a favorite collector’s item. The Saint Gauden’s Double Eagle is which was produced on 1927 is also a must-have for any avid collector of gold coins. These coins are available in one ounce, half-ounce, and quarter-ounce weights. Australia has two particularly interesting gold coins: the Kangaroo and the Sovereign. The Kangaroo is made of 999.99 fine gold also and comes in different weights. What is interesting about this item is its beautiful designs. The Sovereign is also a hit with collectors with its exquisite image of Queen Victoria. The Austrian Philharmonic is also one of the best gold coins to buy. It features the largest organ in Vienna and also represents the Austrian Philharmonic Orchestra which is considered to be one of the best in the world. You can also try collecting the 100 and 20 corona which was issued on 1914. It is also made from 999.9 fine gold. The British Sovereign is also considered to be one of the best in design in the coin collector’s profiles. Some of them also features two types of metals which is peculiar with national gold coins. These coins are made from 916.6 gold which is a bit lower than that of the Canadian Maple or the Australian Sovereign. The last is the Chinese Panda which is valued for the different designs that they are issued with and the high quality of gold that they contain. Most Chinese Pandas are issued with a 999.9 percent of gold and they differ the design yearly which makes it quite an interesting piece to acquire. For those who would like to collect gold coins for their beauty, rarity and value, these coins are those that are highly recommended for collecting. 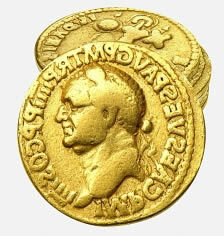 The type of gold and the delicacy of the designs make them one of the most valuable coins to own for your collection.